The search for a woman who disappeared in 1906 draws anthropologist Erin Dawson to Cedar Canyon, where red mesas keep Navajo traditions and criminal evidence hidden. Her quest leads her to tribal policeman Adam Silverhorn and a dangerous drug cartel. Can they overcome the criminals and live long enough to tell each other how they feel? 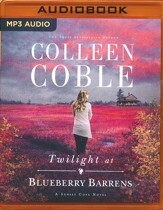 Unabridged MP3-CD; approximately 9 hours; 1 MP3-CD; performed by Emily Caudwell. 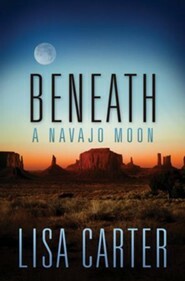 What happens when danger and love collide under a Navajo moon? The search for a woman who disappeared in 1906 has lead cultural anthropologist Erin Dawson to Cedar Canyon, where the iconic terrain of red rock walls and mesas keep Navajo traditions - and maybe criminal evidence - well hidden. 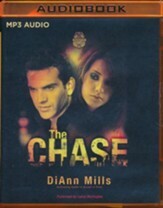 When Erin's search leads her to cross paths with tribal policeman Adam Silverhorn, it's hardly love at first sight. But everywhere she turns, Adam is already there. Fighting their feelings for each other, the two are suddenly thrust into a battle far more dangerous - a common quest to rout an insidious drug cartel that has spawned the recent rise in gang violence on the reservation. Adam's position of authority gives Erin a rare glimpse into Navajo life few outsiders like her ever see - and into a crime ring that no one dares to imagine. 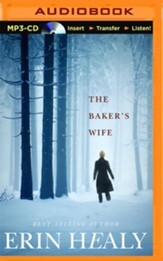 As danger mounts, Adam and Erin begin to wonder if they will live to tell how they really feel. 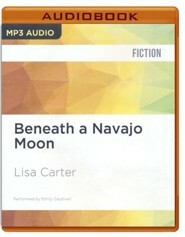 I'm the author/artist and I want to review Beneath a Navajo Moon, Unabridged MP3-CD.